The primary benefit of this program is the peace of mind an individual receives knowing that his family will be taken care of as all personal items are addressed and resolved for the future. Thank you for giving me this! You may not think that a will and trust are important in life; however, life changes, and you need to have something in place when this occurs. I decided to enroll in MyCare Plan™ because I wanted to prevent any hard feelings in my family and make sure that my children were taken care of if something should happen to me or my husband. 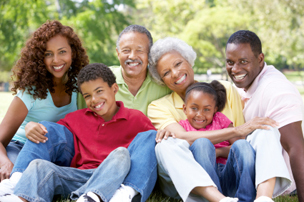 By having MyCare Plan™, my family will not need to go through probate and other court proceedings to distribute my assets. I know that I will be covered in the event of tragedy. And MyCare Plan™ was so easy to complete. Thank you! I have found through personal experience that a living trust is probably the most important piece in any plan. My stepmother paid thousands of dollars to a lawyer in the '70s to have one. During the years that followed, she revised it several times as situations changed. I saw how it gave her peace of mind knowing that she was in control of her affairs while she was alive, and that there would be no probate after she was gone. There was no court administration, no executor's commissions, and no attorney fees. Coupled with financial and health powers of attorney, every possible catastrophic event is included in this master plan for your assets. MyCare Plan™ takes the worry out of the future. This is a must for everyone! Way cheaper than the attorney was going to charge me... MyCare Plan™ was fast and simple, yet comprehensive. I loved it! Other solutions seemed incomplete. I was reassured that MyCare Plan™ includes it all...a will, trust and powers of attorney. It’s something that eats away at you. You know you should be planning for the future, but you just don’t do it...for whatever reason. Thanks to MyCare Plan™, I know have a will and one less thing to worry about. I’ve wanted to do a will and power of attorney for years, but didn’t want to pay an attorney big dollars to do it. MyCare Plan™ was very, very affordable–perfect for my budget! More than worth the price. I now have peace of mind for less than the price of a tank of gas! We found MyCare Plan™ the most complete and comprehensive of the many products we considered. The thought of putting my will together was completely overwhelming. I didn’t even know where to begin. The MyCare Plan™ was the perfect solution. I got my will done at my pace.